210 customers have given this product a 5-star rating. Of these, 174 customers have written no texts or given their feedback in another language. 69 customers have given this product a 4-star rating. Of these, 62 customers have written no texts or given their feedback in another language. I didn't expect how great it will sound at that price range. For over five years I had an amazing dreadnought guitar from Yamaha, that was worth 8 time as much as this guitar, and I really enjoyed playing it. However, when I was moving abroad, I had to sell some of my guitars, and I had to part with this amazing instrument. 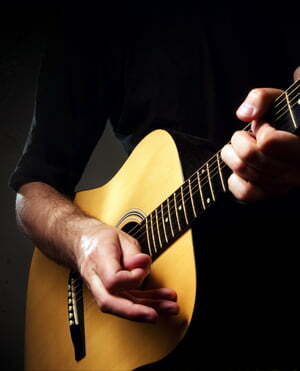 I am trained classical guitarist and steel string guitar is not a priority in my guitar arsenal. Recently, however, I wanted to experiment with different types of guitars, and try different sound arrangement with jazz, steel-string and bass guitars. Harley Benton proved to be a positive surprise in the past, which is why I decided to give a go to this guitar, while buying a semi-hollow electric guitar. WOW! I was really surprised by this guitar when it came. It sounds amazing! It also looks really well. There is no negative feedback I can give to the acoustic side of this guitar. In 18 years of playing guitars, I have never encountered such an extra-ordinary price/value ration. If you are looking for well-sounding acoustic guitar, just go for it. At that price you don't have much to loose. I am less enthusiastic when it comes to pickups. They are OK, but not as great as the rest of the guitar. Nice to play around with them, but could use an upgrade for professional music playing. 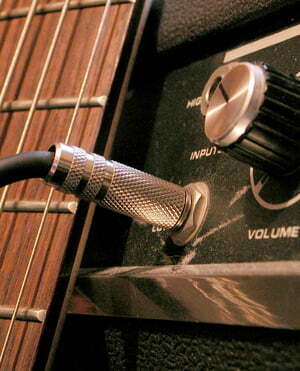 The controls are made from rather cheap plastic, which really stands apart from the rest of the guitar. However, for a bit under 80 euro this is not a thing to complaint about. It is also a great idea for a gift, that will stun those who will get it. String action was a little bit high for my taste. No frets had sharp edges, which is good for a guitar of this price range. Changed strings to a lighter gauge and sent this guitar to a luthier for a proper set up. Now it plays amazing. Acoustic sound is ok. I have a Hohner HW220 and it has a more rich(more low end) sound compared to this guitar. But for the money, it is amazing. Would recommend to anyone. ID: 336998 © 1996–2019 Thomann GmbH Thomann loves you, because you rock!